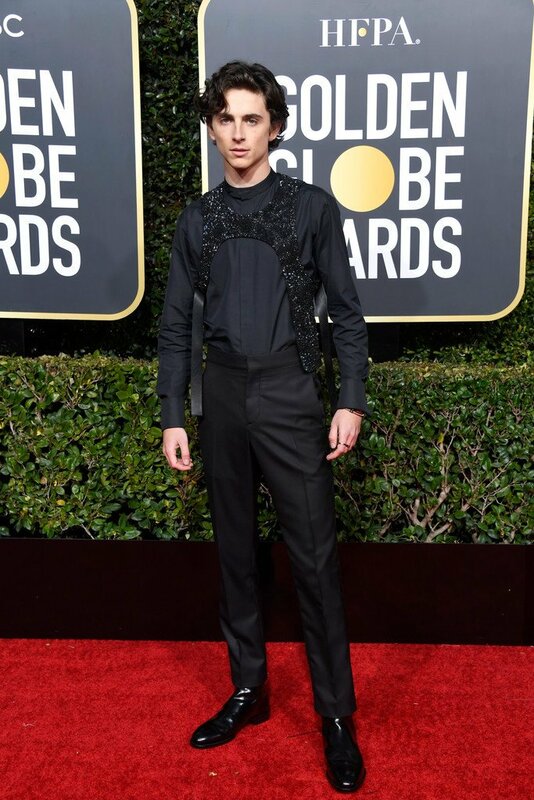 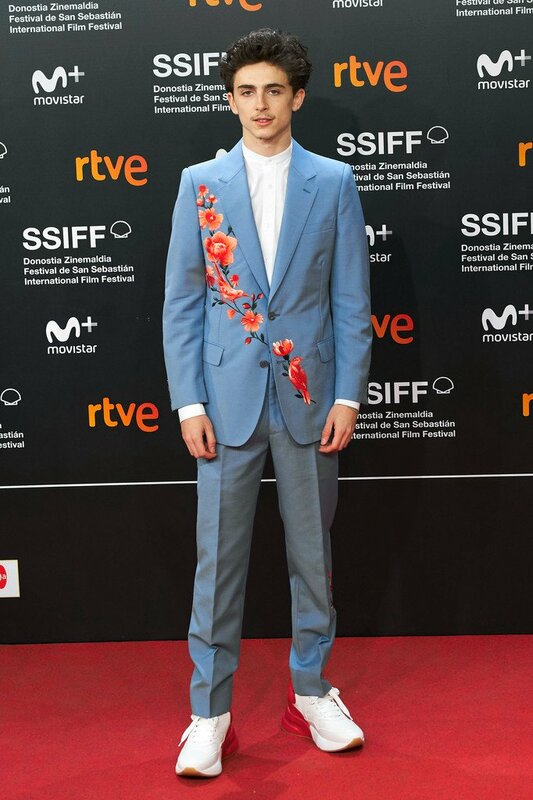 Timothée Chalamet wore a custom Louis Vuitton embroidered bib, shirt, pants and boots to the 2019 Golden Globes. 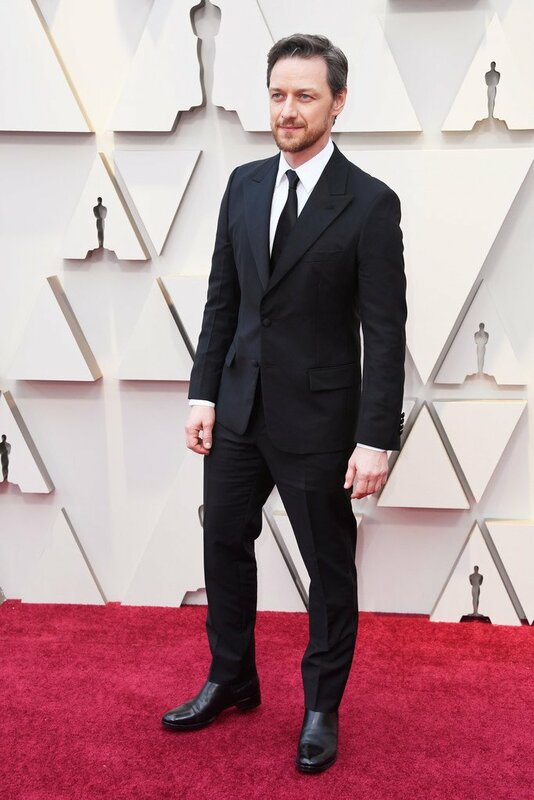 Christian Bale wore Giorgio Armani to the 2019 EE British Academy Film Awards. 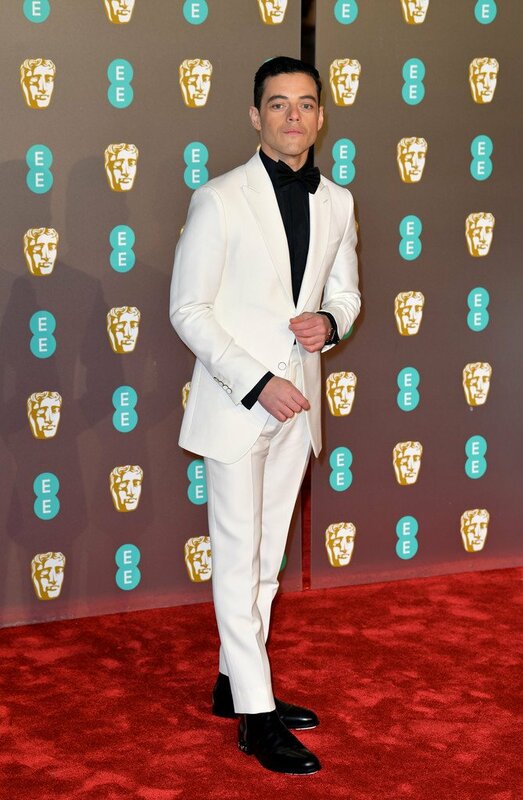 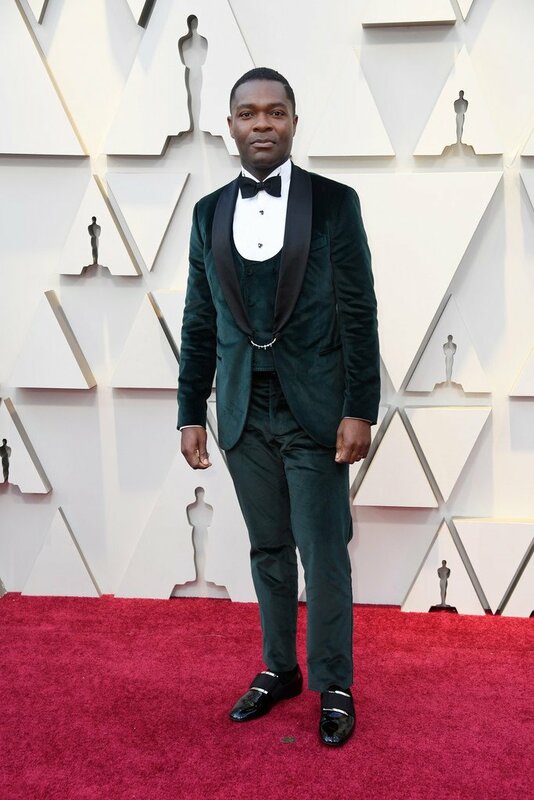 Rami Malek wore custom Louis Vuitton to the 2019 EE British Academy Film Awards. 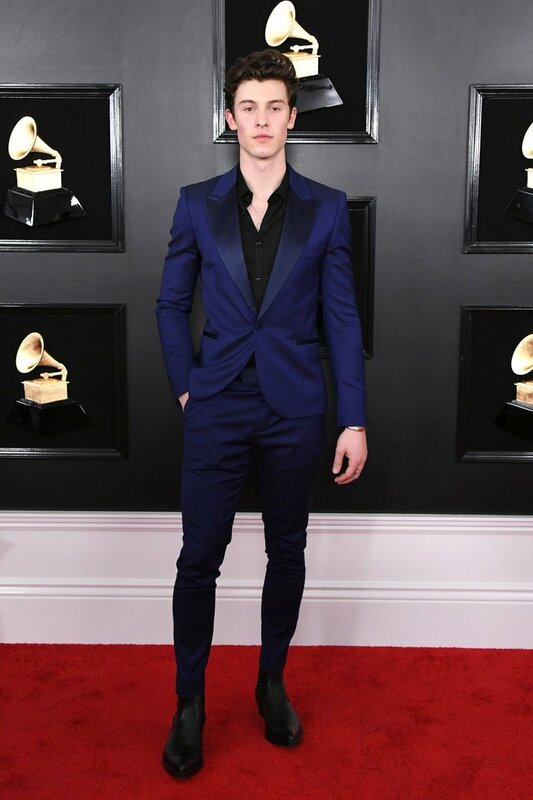 Shawn Mendes wore a blue Paul Smith tuxedo to the 2019 GRAMMY Awards. 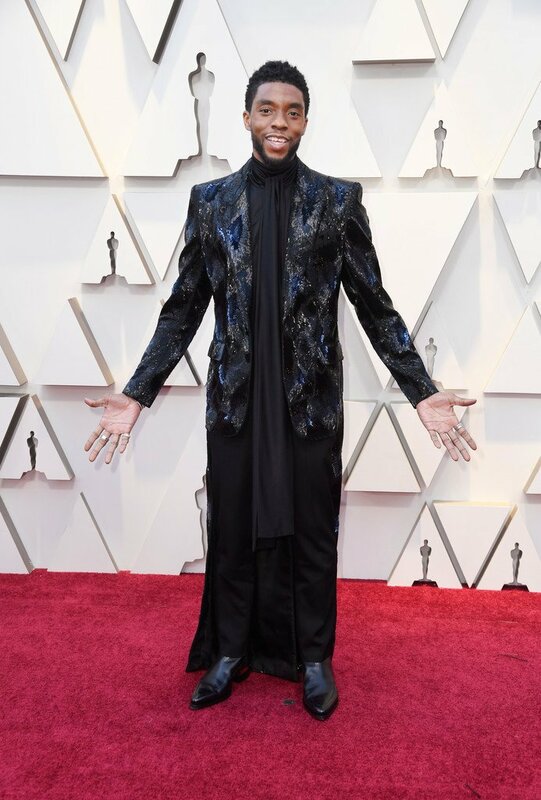 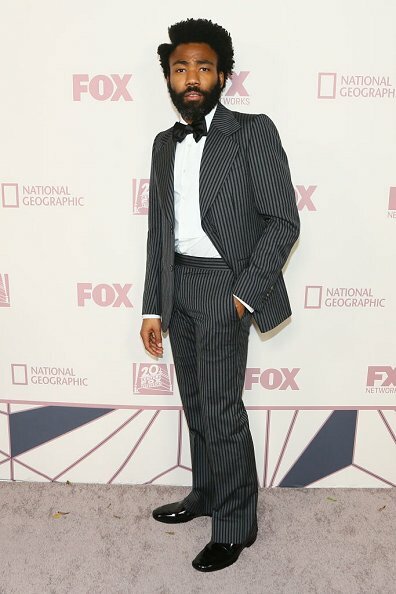 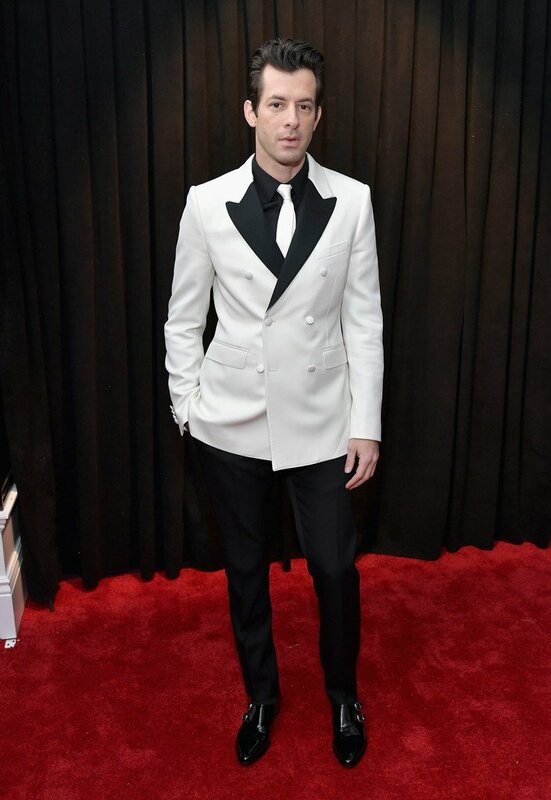 Mark Ronson wore a Celine tuxedo to the 2019 GRAMMY Awards. 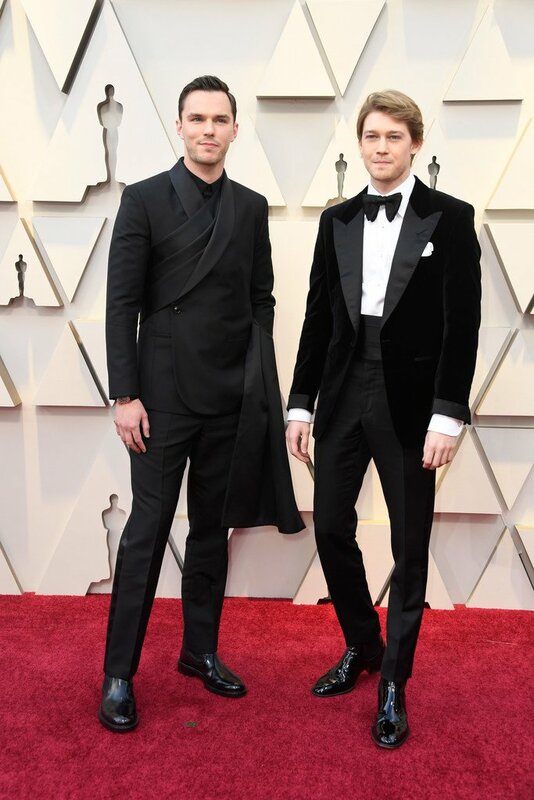 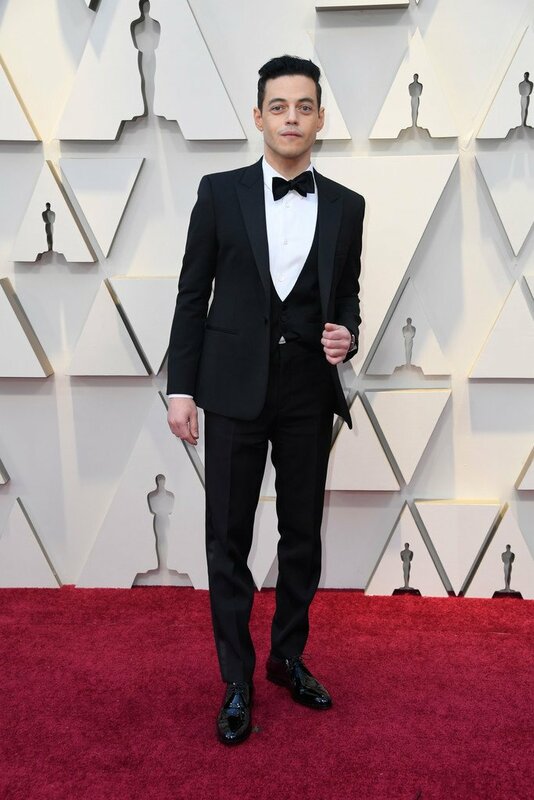 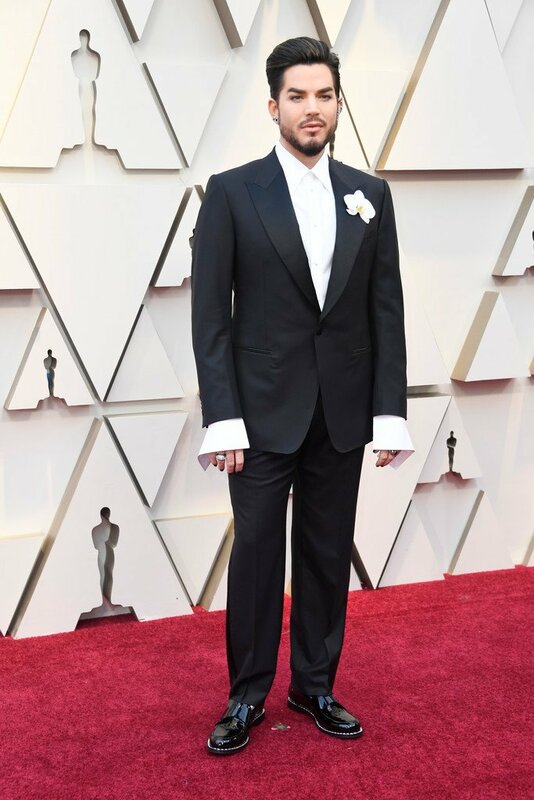 Rami Malek wore a Saint Laurent by Anthony Vaccarello tuxedo to the Oscars . 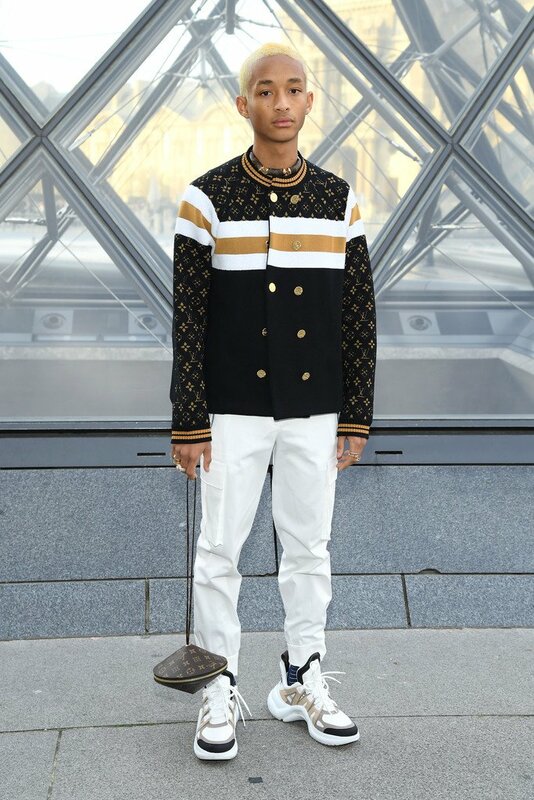 He accessorized with Cartier details. 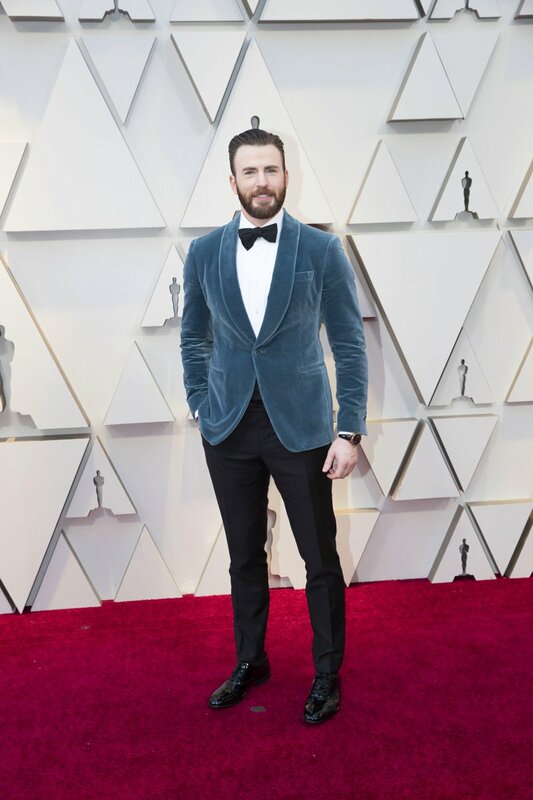 Chris Evans wore a custom Ferragamo tuxedo to the Oscars He's also wearing Montblanc cufflinks & an IWC watch. 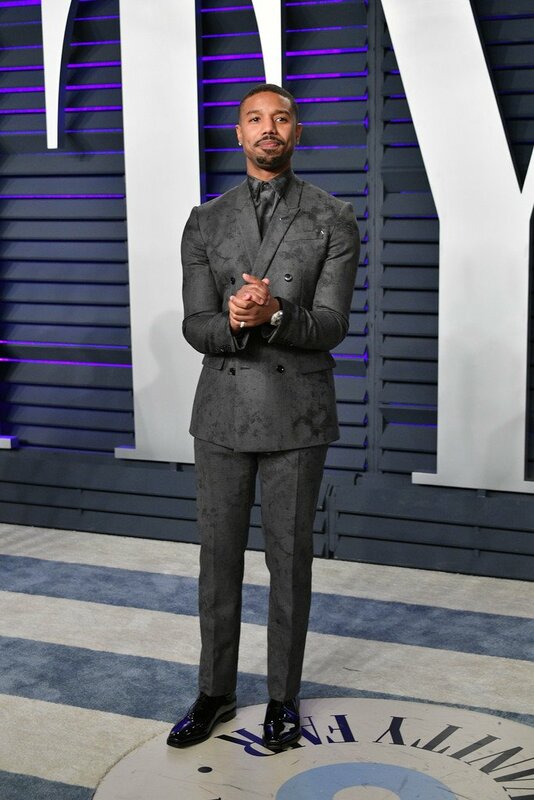 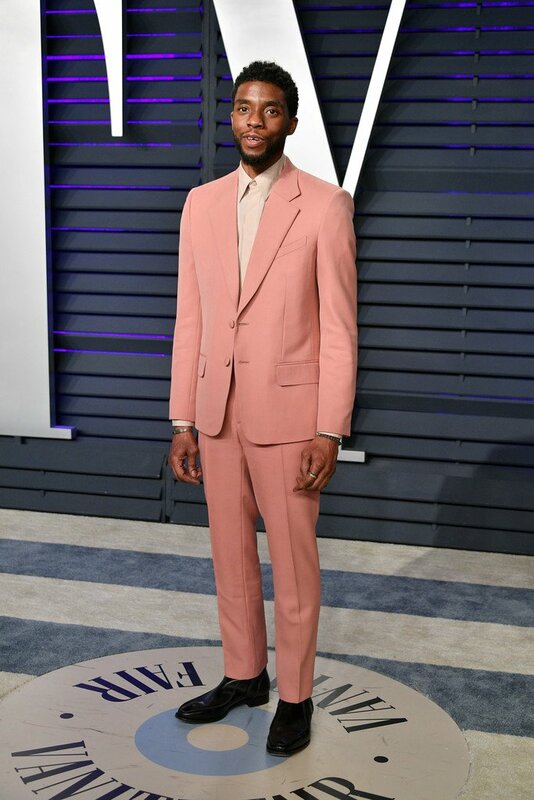 Evan Ross with wife Ashlee Simpson wore a SSS World Cup Fall 2018 sequined blazer & Theory pants to the 2019 Vanity Fair Oscar Party. 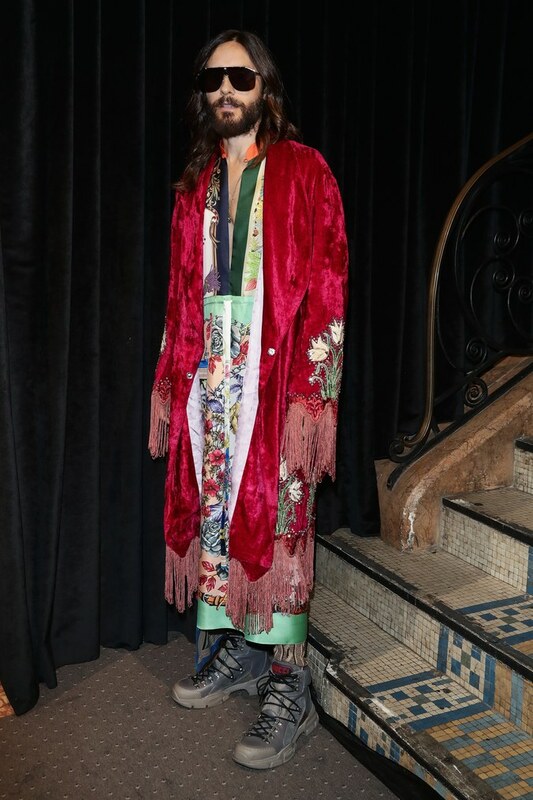 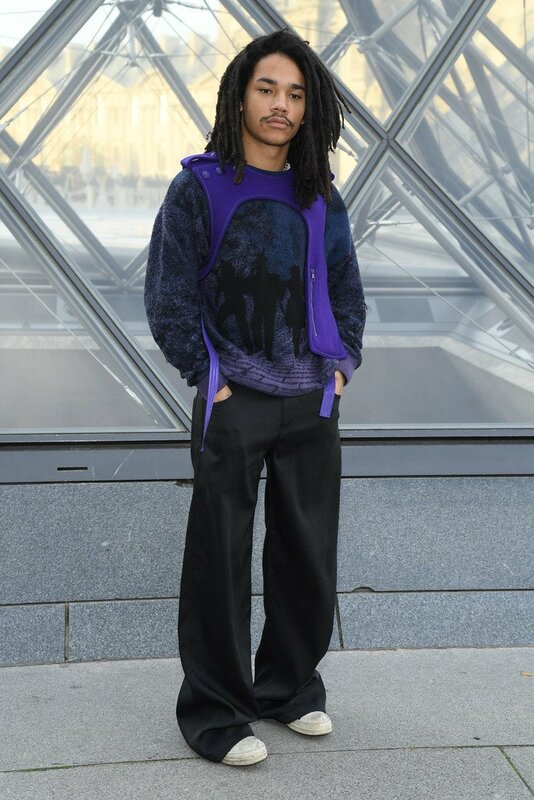 Jared Leto attends the Gucci show during Paris Fashion Week Spring/Summer 2019 on September 24, 2018 in Paris, France.